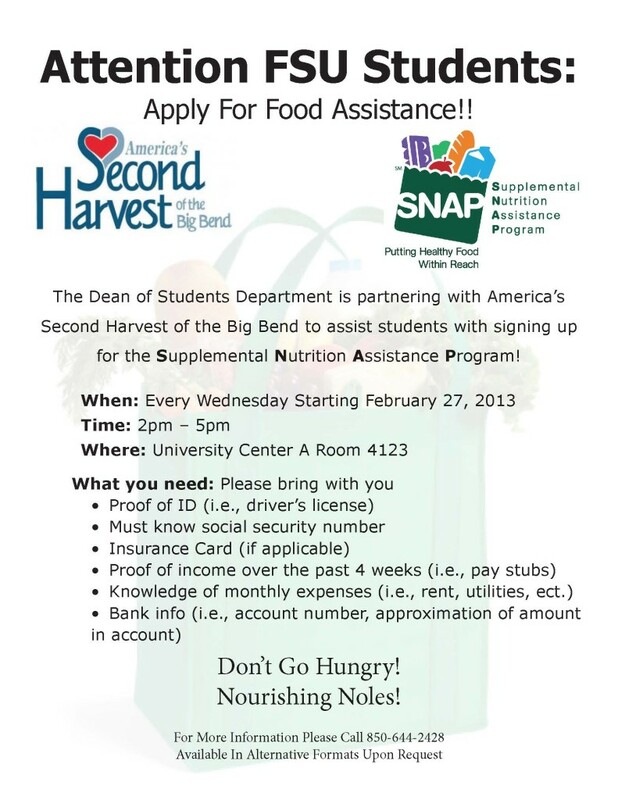 FSU’s Dean of Students Department has partnered with Second Harvest to help students apply for supplemental food assistance (SNAP). Students can go by DOS on Wednesday afternoons to see if they qualify for SNAP. It’s our understanding that students who receive work study are likely to qualify for assistance. If you have questions, please give us a call. 644-2428.